How do you figure out how much an orangery costs? Well, the first thing you need to establish is how big are you going to build – prices will increase the larger your proposed home extension is going to be. Then you need to look at the major material that is going to be used for the walls – a lot of brickwork will cost way more than full glass sided rooms. On top of that there is the roof. 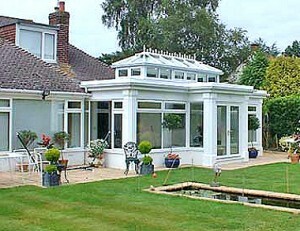 An orangery roof is a complicated beast, combining a flat section and a raised centre glazed lantern. This is then surrounded by hidden guttering that is itself covered with fancy fascia and corbelling. Cookies may feature on this website - if you continue it means that you agree to, and accept cookies on your device unless you block them on your browser.